Premium quality 20 oz. ceramic mug. Fill it up, pick it up, and drop some science with your favorite Dr. Premium quality 20 oz. 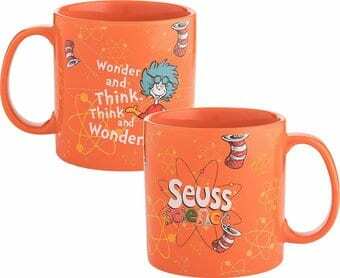 ceramic mug with a super smart Dr. Seuss retro science aesthetic.